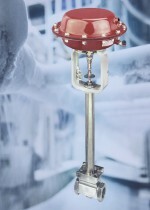 ROTORK reports it has received major contracts to supply electric and pneumatic valve actuators and valve gearboxes to Hengli Petrochemical (Dalian) Refinery Co. Ltd. for flow control in its new refinery and petrochemicals complex, one of the largest in China, at Changxing Island in Dalian City. Flowserve, provider of fluid motion and control products and services, is using ABB variable-speed drives (VSDs) and motors for quick and easy testing of its new pump variants at different speeds. PWE reports.